Mayo Clinic hits it spot on with their article, “CPAP machines: Tips for avoiding 10 common problems”. 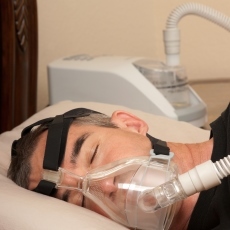 From finding a mask that fits you correctly and making adjustments that meet your needs, to discovering machine features you might not know about – these tips can help make your CPAP experience a much more comfortable one. A new study from the Loyola University Health System is providing further evidence that floppy eyelids may be a sign of sleep apnea. The study found that 53 percent of sleep apnea patients had upper eyelids that were lax and rubbery. In a recent study at Harvard Medical showed that pacing of the hypoglossal nerve in the neck during sleep was effective treatment for people with moderate to severe obstructive sleep apnea. Twelve months after pacemaker insertion, the average number of obstructed breathing events decreased by approximately 50%. In addition, nighttime oxygen levels improved, as did measures of quality of life and daytime sleepiness. 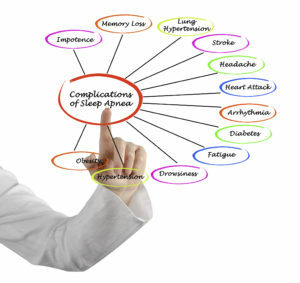 The American Academy of Pediatrics has identified obstructive sleep apnea syndrome (OSAS) as a common condition in childhood that results in severe complications if left untreated." Among the potential consequences of untreated pediatric sleep apnea are growth failure; learning, attention, and behavior problems; and cardio-vascular complications. Because sleep apnea is rarely diagnosed, pediatricians now recommend that all children be regularly screened for snoring. © 2018 CPAP Warehouse, Inc. All Rights Reserved.